I started listening to this novel a while ago but at that time I wasn’t able to slow myself down to its leisurely pace; I returned to it last month and found it full of rewards. Toibin writes about Eilis Lacey, a young girl who has the chance to leave her native Ireland in the early 1950s for Brooklyn and better prospects. We see the world through Eilis’s eyes, her confusion and how she feels rootless and lonely in Brooklyn, torn from the familiar patterns of Enniscorthy, where she understood how to behave and what was expected of her. Intelligent, but naive and unmoored, she makes an unexpected decision, and when she is called back to Ireland, she has to come to terms with the consequences of what she’s done. It’s a lovely, character-driven story, evoking a particular place and time but mainly allowing us to see the world through someone else’s eyes. I became so involved with Eilis’s thoughts that there was a point where I had to put the novel down for a day, worried for her and apprehensive about her future. A novel that can do that, well, it’s pretty special. Snow in August by Pete Hamill, a gem of a story about the unlikely friendship between a young Irish Catholic boy and a Jewish Holocaust survivor in a Brooklyn neighborhood filled with violence and lost hopes. In Case We’re Separated by Alice Mattison. Wm Morrow, 2005. 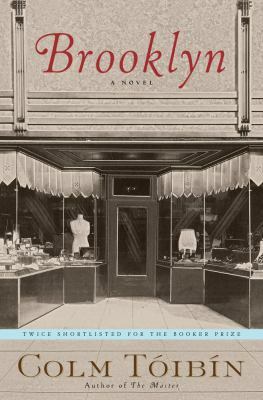 Thirteen very affecting linked stories about several generations of the Kaplowitz family in 1950s Brooklyn: as they connect and spill apart throught the years, we learn of the secret loves, hopes, and despairs. Mattison uses the repeated imagery of six ordinary objects, echoing the poetic form of the sestina. Now and Then: From Coney Island to Here by Joseph Heller. Knopf, 1998. In this nostalgic and very evocative memoir, Heller, author of Catch-22, recalls growing up in a bustling, thrumming Coney Island at a time when it was filled with immigrants, hustlers, strivers, and a very observant boy and his mother. Motherless Brooklyn by Jonathan Lethem. Doubleday, 1999. Lionel Essrog, orphan and Tourette’s sufferer, recounts his efforts to solve a murder, in this tour de force of storytelling and language. Sweet and Low: A Family Story by Rich Cohen. Farrar, Straus and Giroux, 2006. A hilarous look at the rather dysfunctional family that created the familiar sugar substitute. The Boys of Summer by Roger Kahn. Harper & Row, 1972. This classic of sportswriting, perenially in print, is Kahn’s inspiring tribute to the fabled team of his youth, ending with the 1955 season. The Great Bridge: The Epic Story of the Building of the Brooklyn Bridge by David McCullough. This weighty book is filled with the drama and tragedy of the Roeblings, father and son, both brilliant engineers who gave their lives to build the Bridge. McCullough also explains in great detail how the Bridge was constructed and the risks to the workers toiling in the dangerous caissons. And then there’s that great trio of short fiction and nonfiction about Brooklyn, published by Akashic Press: Brooklyn Noir, Brooklyn Noir 2: The Classics, and Brooklyn Noir 3: Nothing But the Truth. This entry was posted in 2009 Fiction, Families-Fiction. Bookmark the permalink.